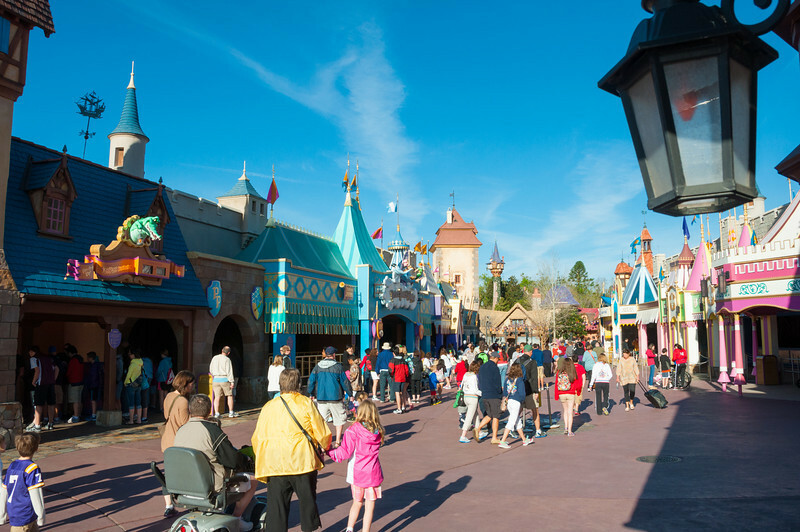 Disney Spring Break 2013 – Avoiding the Crowds! Early morning at the Magic Kingdom. 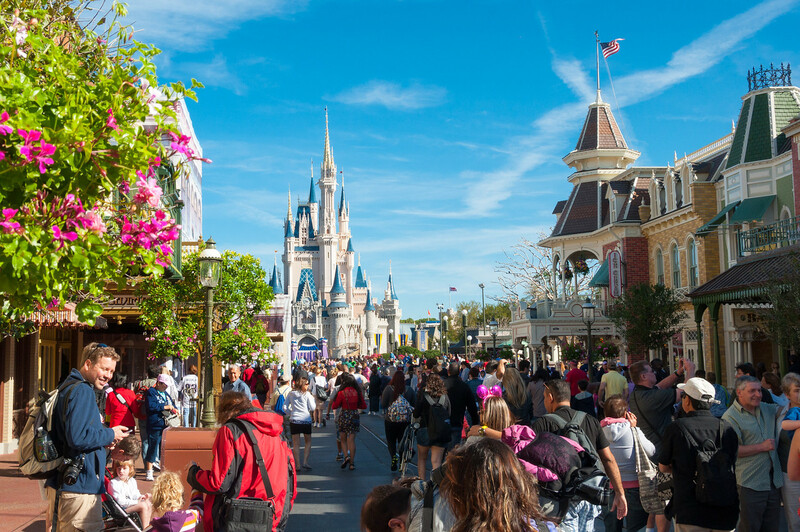 Arriving early during spring break is one key to beating the crowds! If you’re an “old hand” at Disney and are already convinced of these two points , go ahead and quit reading now. If not, then this post is for you! I’ll even share some pictures to help illustrate this for you. The thing is, you really need to consider BOTH of these tips for a successful day at your favorite Disney theme park. One without the other just doesn’t cut it. 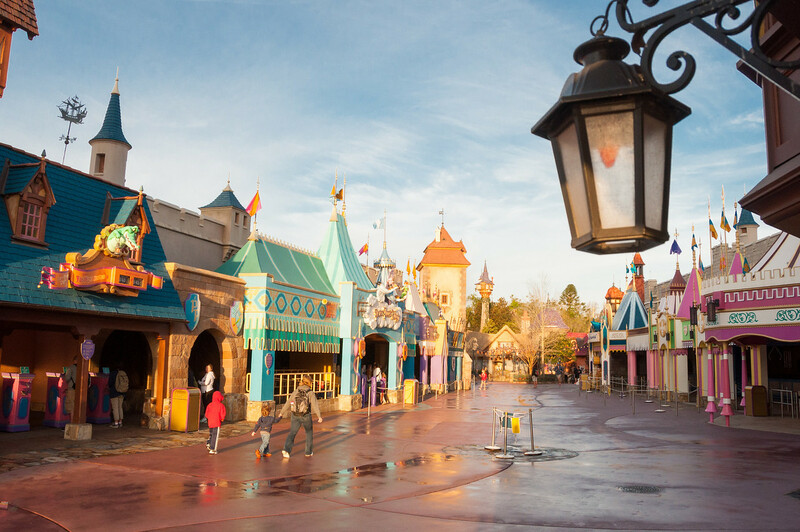 For example, if you arrive early but don’t have a plan, you could waste your early-morning time visiting attractions that you could see later in the day without much wait (maybe with FastPass), but then you find that some attractions have huge waits by the time you get to them. 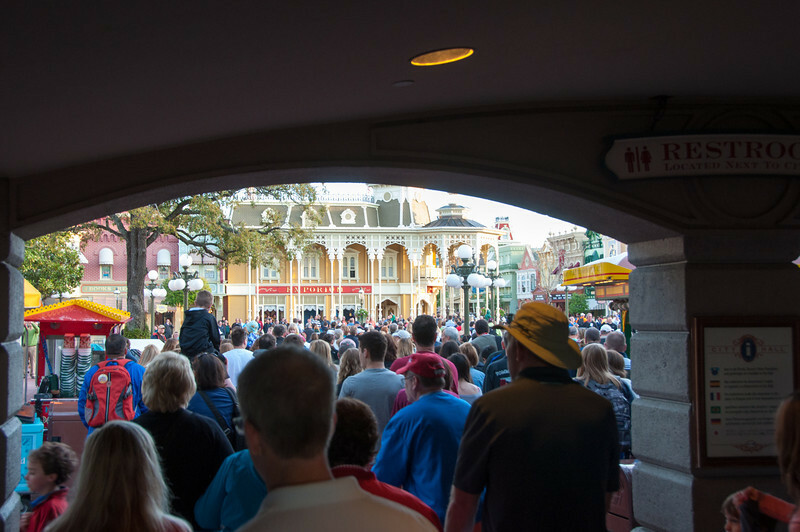 And, if you have a plan but don’t arrive early, well, there are some attractions that are just plain hard to see without a wait unless you’re in the park right when it opens. 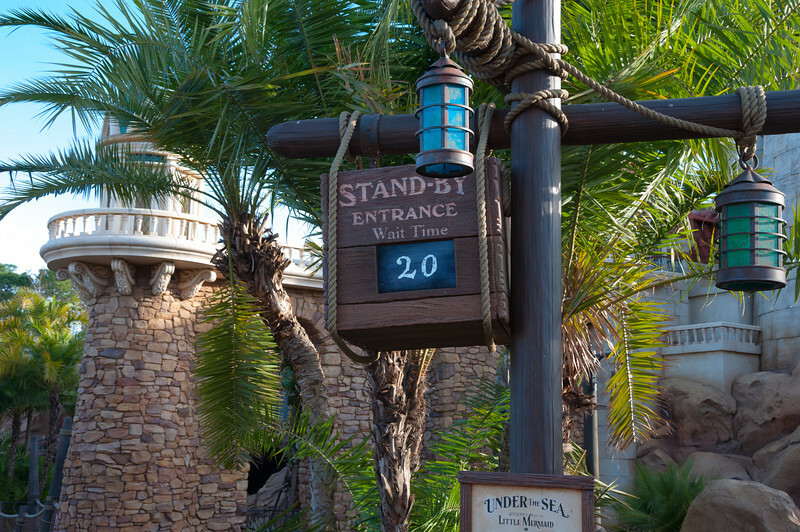 FastPasses for some attractions can also run out early in the day (Radiator Springs Racers, anyone?). 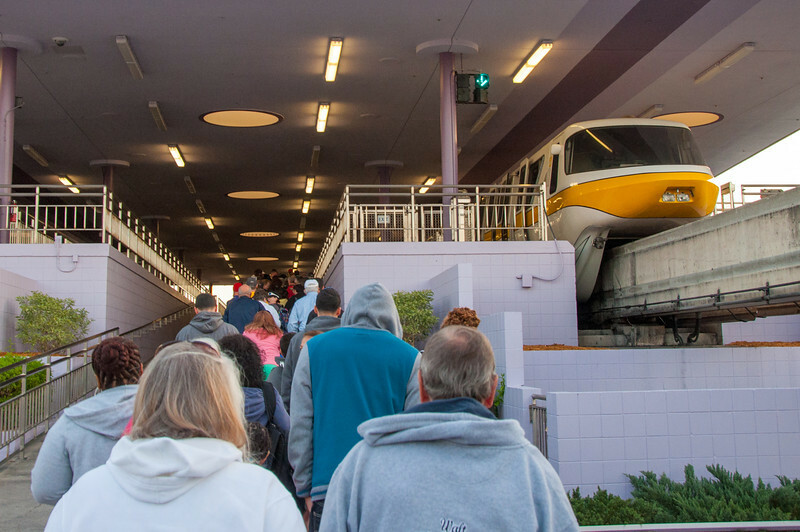 No plan — not even RideMax — can save you here if you’re not in the park early when the lines are short and FastPasses plentiful. 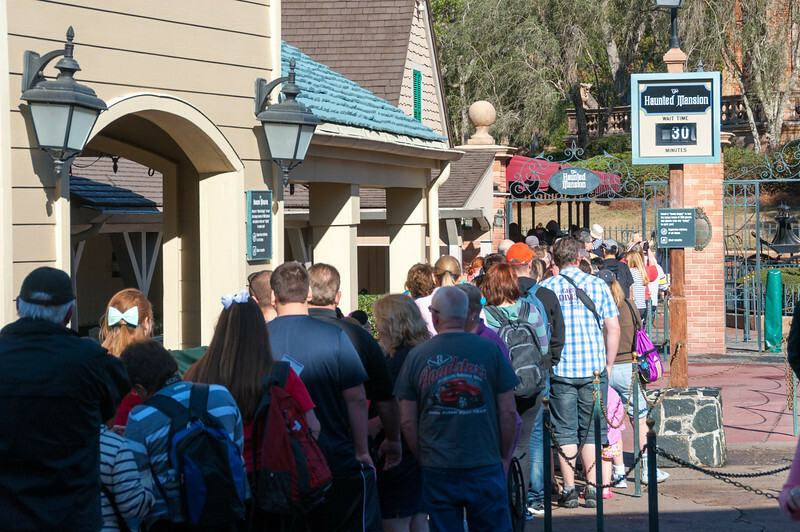 Consider some pictures that I took yesterday at the Magic Kingdom to help illustrate the importance of arriving early. The park opens at 8:00am today, and here I am at 7:51am in line to board the monorail. You can see that the crowds are already starting to build, but this is nothing compared to the masses you’ll see here in a few hours (more on this below). I don’t actually recommend arriving this late, but I got lucky and was able to board the monorail quickly. I arrived at the front turnstiles just as Disney had opened the park for the day. Here I am making my way through the entrance tunnel into the park, at 8:02am. As you can see, there are large crowds ahead of me. It would have been better had I arrived earlier! 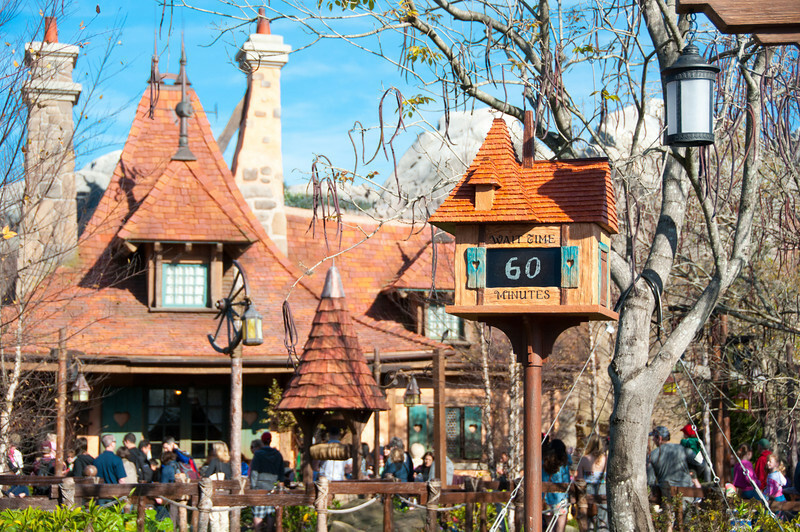 I was mostly focused on Fantasyland today. And even though I was slightly delayed getting into the park, I still had time to get a FastPass for Peter Pan, and then make my way over to the current big bottleneck in the Magic Kingdom. 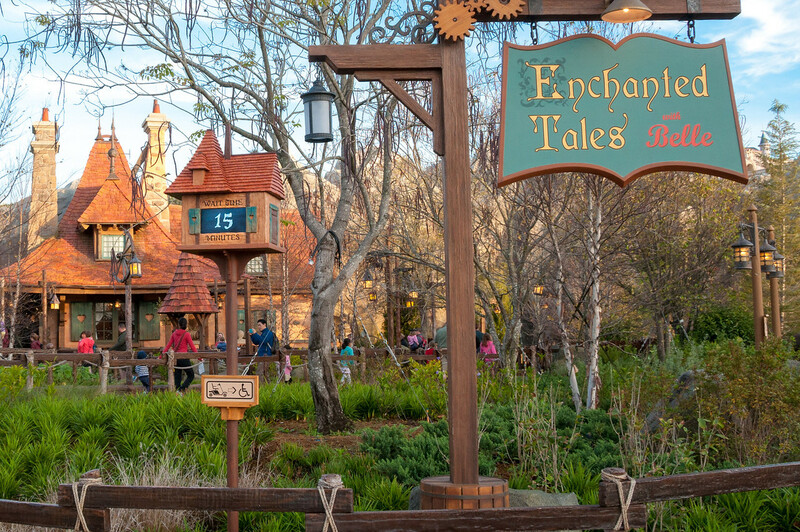 Enchanted Tales with Belle, posted at a 15-minute wait. My actual wait would be shorter. This is where the importance of PLANNING comes in, and my RideMax plug. If I didn’t have a RideMax plan with me telling me to go here early, I might have visited one of the “big” rides instead, even though the lines for the big attractions don’t build nearly as quickly as the line for Belle does. This would have resulted in a crazy wait here later, or maybe even caused me to miss this altogether. 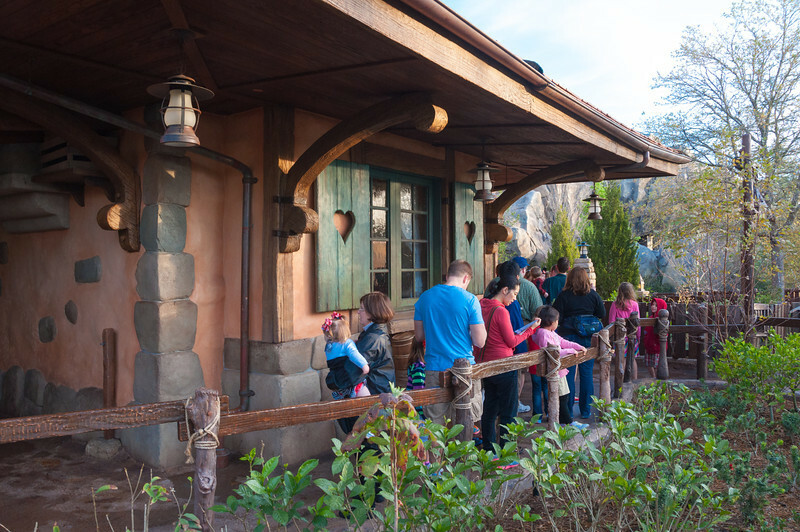 The line for Belle’s Cottage isn’t bad at all. Yet. 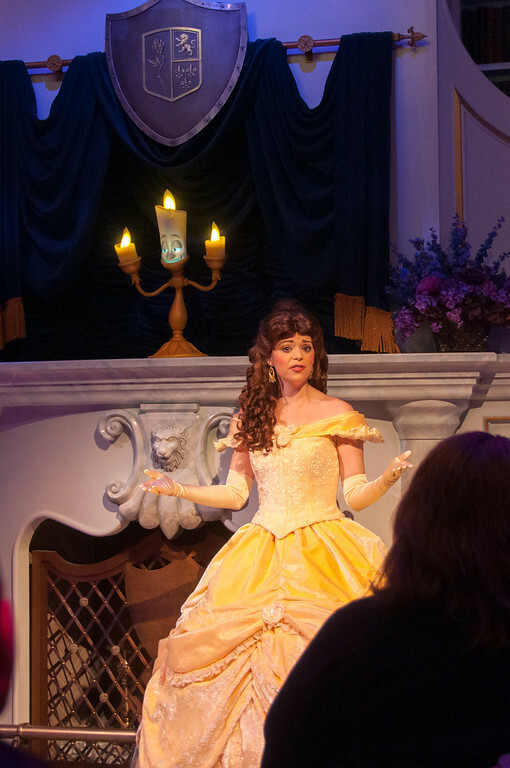 And of course, Belle is charming as always. By the time I exit the show, the lines here are already huge. I’d estimate about a 45-minute wait, and it’s not quite 8:45am! Next stop for me was the new Little Mermaid attraction. It’s posted at a 20-minute wait, but it was still basically a walk-on. This is where having RideMax helped. 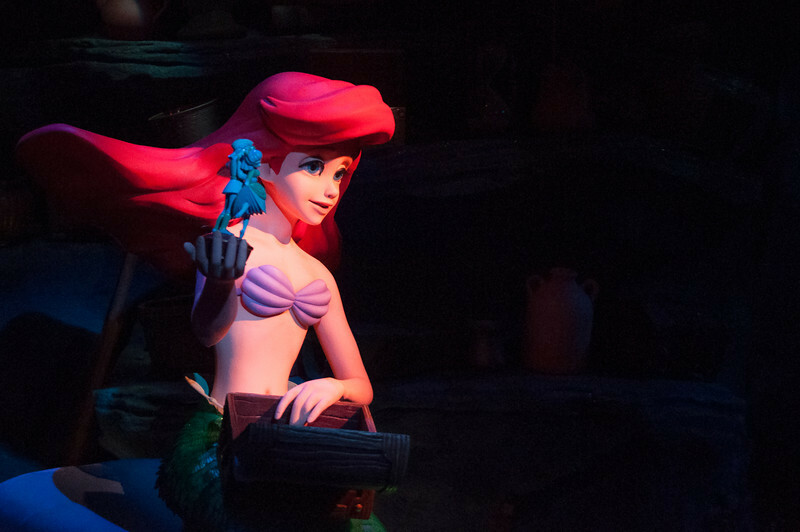 Had I visited Little Mermaid first, and then Belle next, my total wait for these two rides would have been close to 50 minutes, as opposed to the 10-minutes or so total I waited by following the plan. 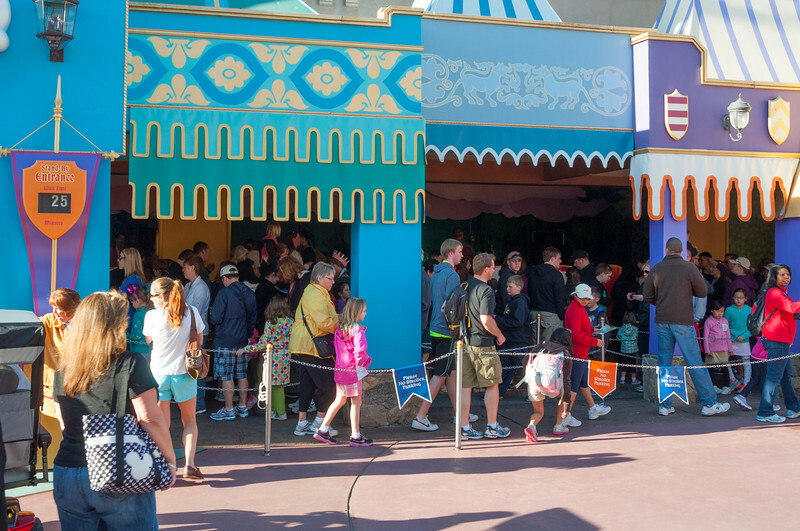 The line for Ariel’s Undersea Adventure takes a while to build in the morning, thanks to it’s rather large capacity. No need to rush here first thing, and RideMax knows this. 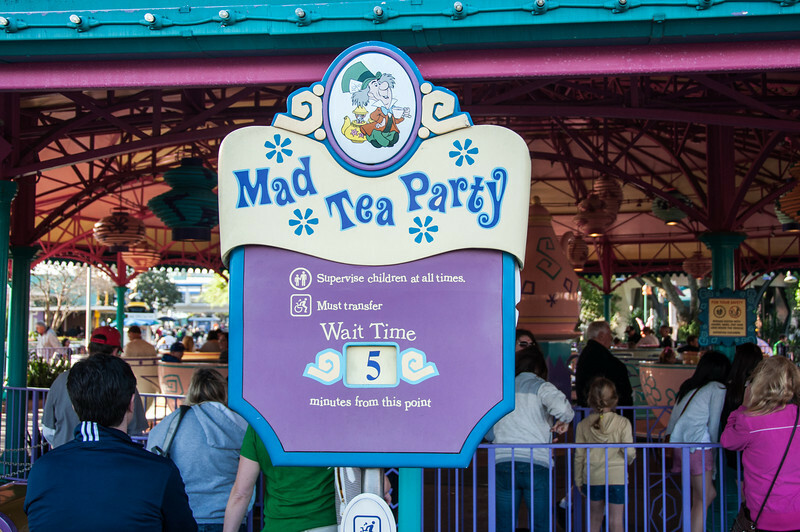 It’s around 9:15, and the Teacups are still very do-able! 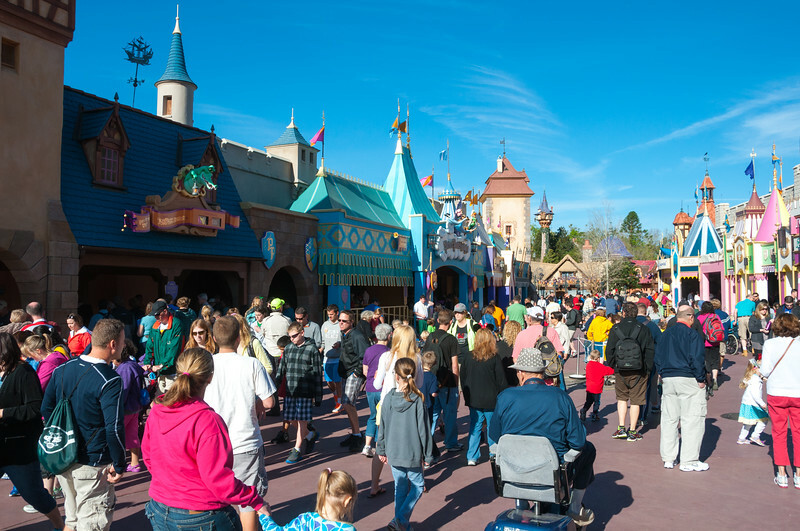 Here is Fantasyland at around 9:20am, or one hour and twenty minutes after the park opened. The crowds are starting to build, but it’s still somewhat do-able here. OK, it’s later in the morning, but still not quite 10:00am, and it already starts getting crazy. The wait here for Belle is now posted at 60 minutes. Aren’t you glad you got yourself out of bed early this morning, AND you followed that RideMax plan? OK… Here’s that comparison photo I promised earlier, taken just before 10:00am. Please don’t do this to yourself, folks! 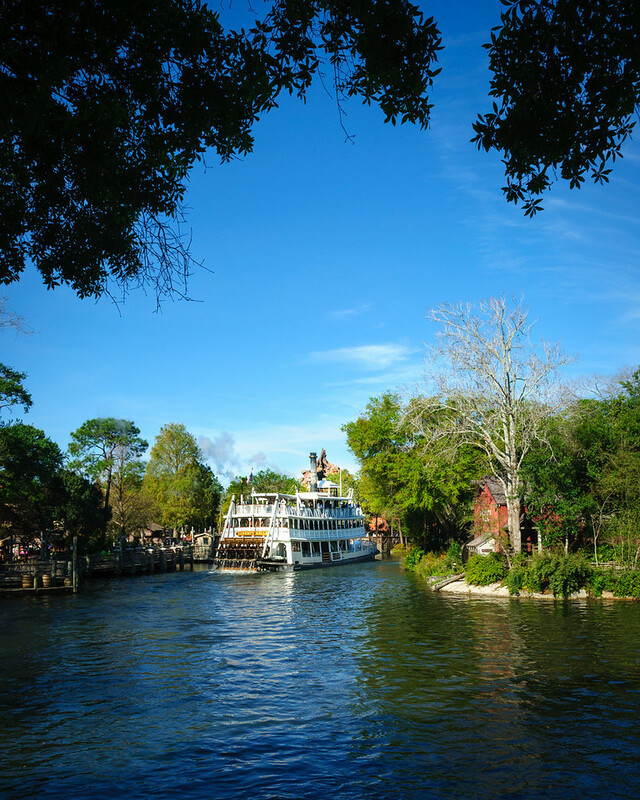 It’s about time for me to leave the park, but I couldn’t resist stopping for a picture of the Liberty Belle. What can I say? The light here is nice this early in the morning! It’s just after 10:00am, and I’m on my way out of the park, while the crowds are pouring in! 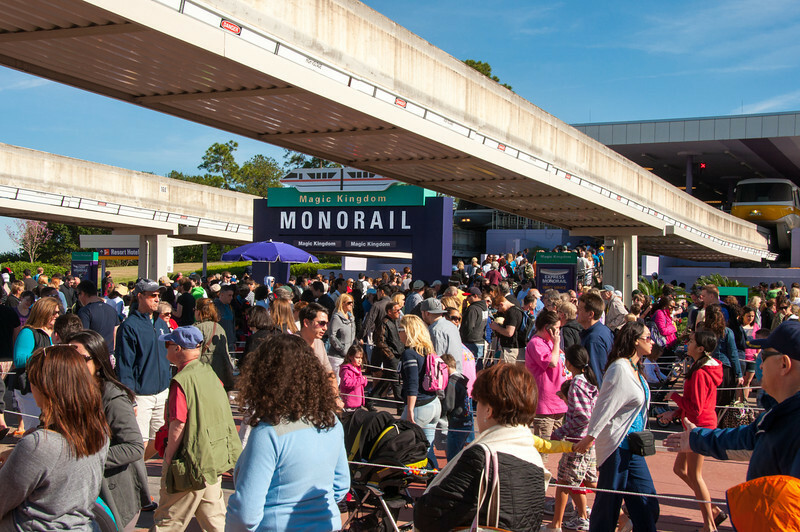 Finally, here is the monorail entrance, at 10:30am. I know everyone has different tastes and opinions, but why would someone spend $1,000’s on a Disney vacation and then do this to themselves! Arrive EARLY, and have a PLAN! OK, I’d be curious to see your thoughts on this. 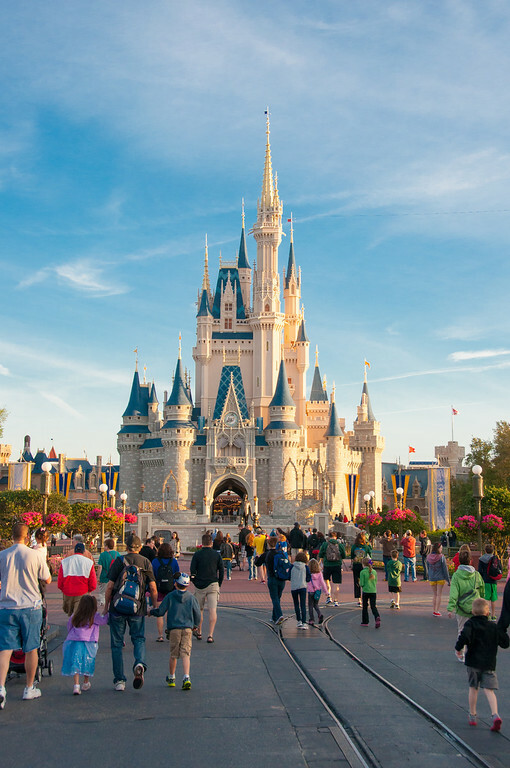 What are YOUR favorite strategies for surviving spring break at Disneyland or Walt Disney World? Tell us about it in the comments below. 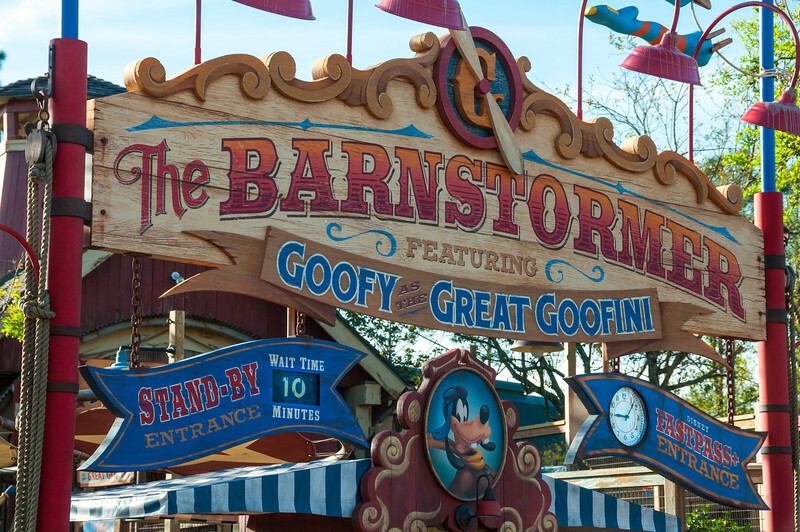 Magic Kingdom Update: Barnstormer and Dumbo FASTPASS — Disconnected or Not? 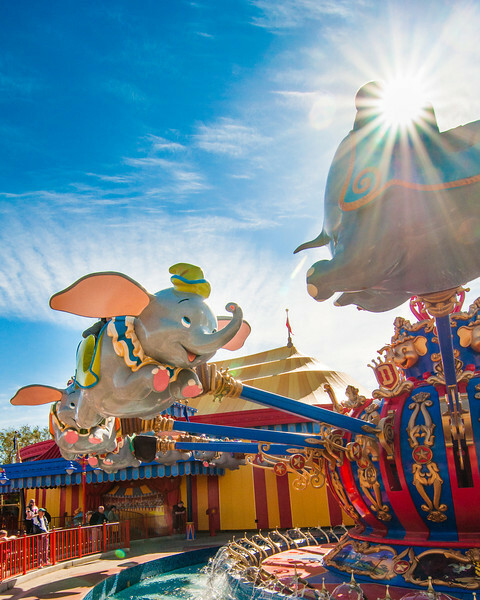 Dumbo was flying high today, but does the FastPass loophole still exist?!! As many of you know, RideMax has been taking advantage of a loophole in the FASTPASS (FP) system at Disney World’s Magic Kingdom which had allowed someone to obtain a FP ticket for both Barnstormer and Dumbo, even if he or she had recently obtained another FP elsewhere. This would normally be against the FP rules, but the machines seemed to be operating somewhat independently of the rest of the FP network. 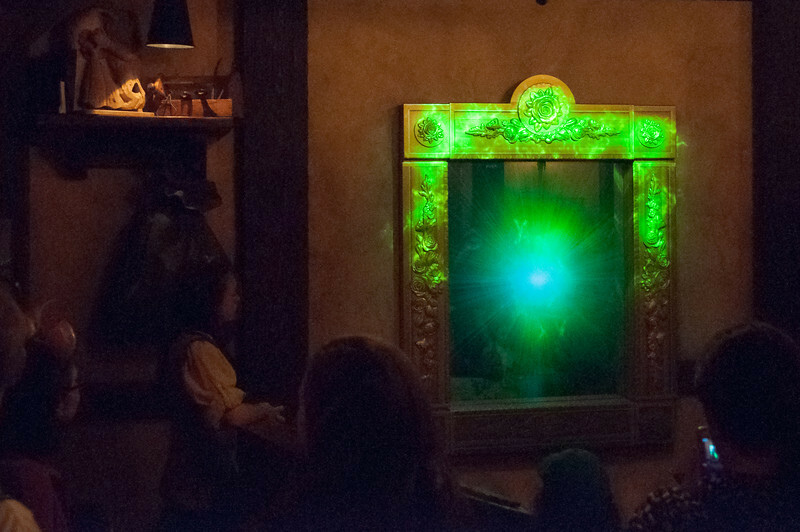 This allowed someone, for example, to get a FP ticket for Peter Pan (or some other MK attraction), and then to immediately get FP tickets for both Dumbo and Barnstormer, even though two hours hadn’t elapsed since the Peter Pan ticket was obtained, nor had the “ride window” for that first FP ticket arrived yet. We had received reports within the last few days from a couple of customers who had read online that the Dumbo and Barnstormer FASTPASS machines were “connected” to the rest of the FASTPASS (FP) network again, so I decided to drop in on the Magic Kingdom today to check it out. I decided to “test” the loophole by obtaining a FP ticket for Peter Pan, then I’d try to also get FP tickets for both Dumbo and Barnstormer, to see if the system would allow it. 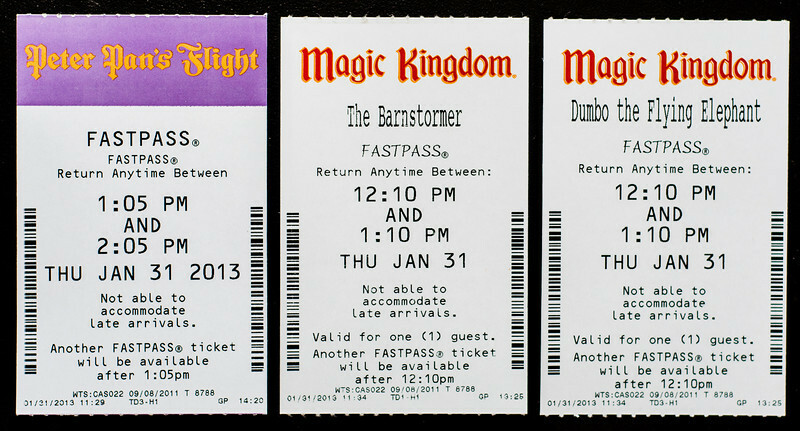 It may be hard to read the time stamps in fine print at the bottom of these tickets, but I obtained the Peter Pan ticket at 11:29am, and successfully obtained both the Dumbo and Barnstormer tickets five minutes later, at 11:34am. Given the recent reports of this loophole going away, I decided earlier this week to remove this feature from RideMax, at least for now. 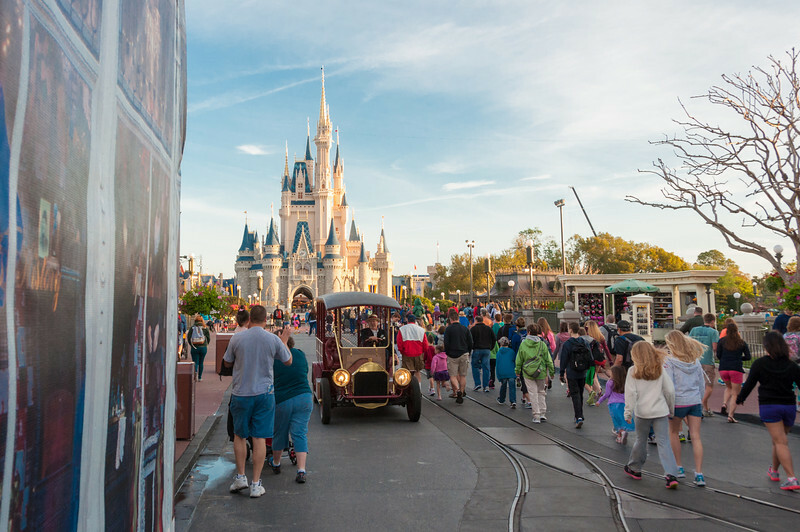 Even though this test indicates the loophole still existed today, it seems safer to NOT depend on this, especially since the parks aren’t crazy-busy right now, and this really isn’t absolutely necessary for efficient touring. Having said this, I do expect to check this again as Mardi Gras week and President’s Day weekend approaches. If the loophole still exists then, I’ll likely put the feature back in RideMax so that folks using the planner can take advantage of this during those busier days in February. 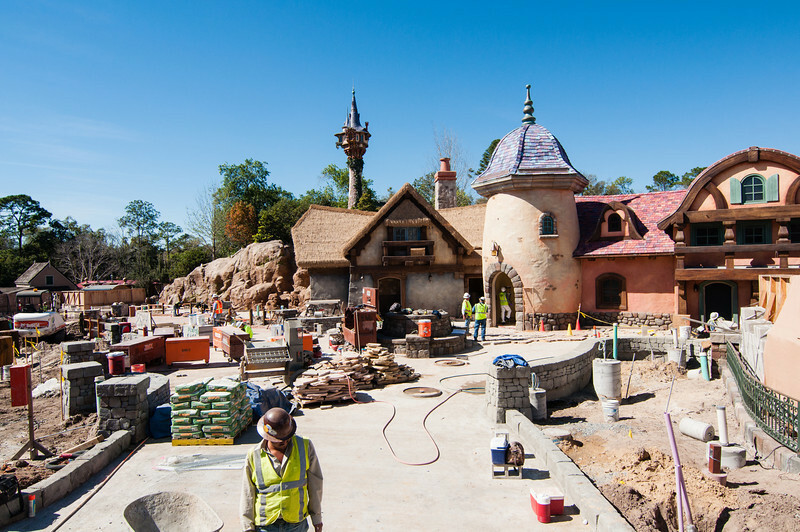 Oh, by the way, while I was in the Magic Kingdom today I took a picture over the construction wall of the new Rapunzel’s tower and village, which I’ve posted below. It seems to be coming along nicely!